This item has been discontinued by the manufacturer and is no longer available. Please see our recommended replacement filter housing. 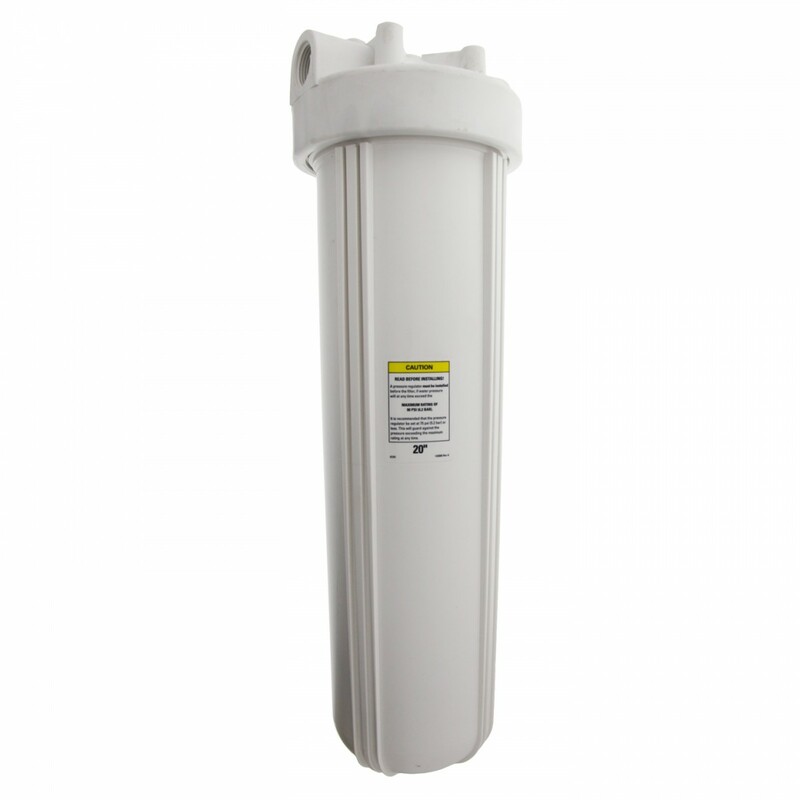 If you want every drop of water in your home to be filtered, the Pentek 166227 Big White filter housing is the perfect choice. With thousands of industry standard size filter cartridges to choose from, you can solve nearly any water problem. Flow restriction and pressure loss will never be a problem with this whole house filter housing. The Pentek Big White 3/4-inch number 20 Housing Assembly. Industry standard filter housing uses 20-inch by 4.5-inch standard filter cartridges. 3/4-inch female pipe thread inlet/outlet. Perfect for whole house filtration.